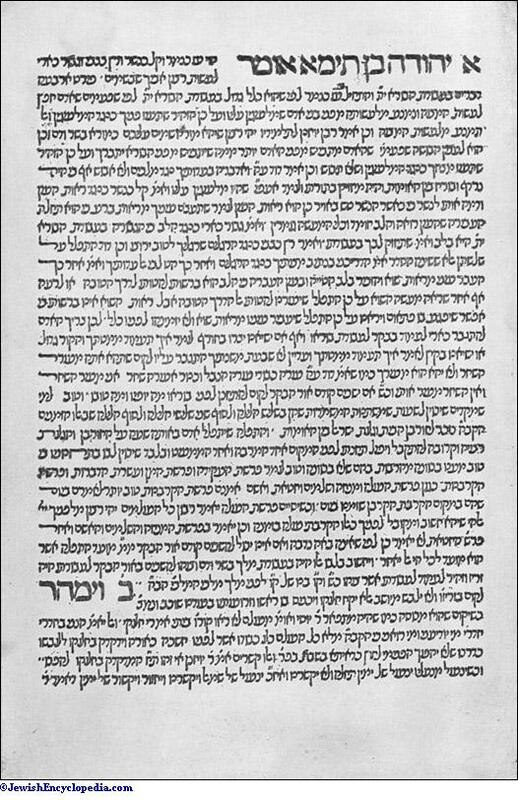 Page from Jacob ben Asher's "Oraḥ Ḥayyim," Printed at Ixar, 1485. Czar of Russia 1533-84. 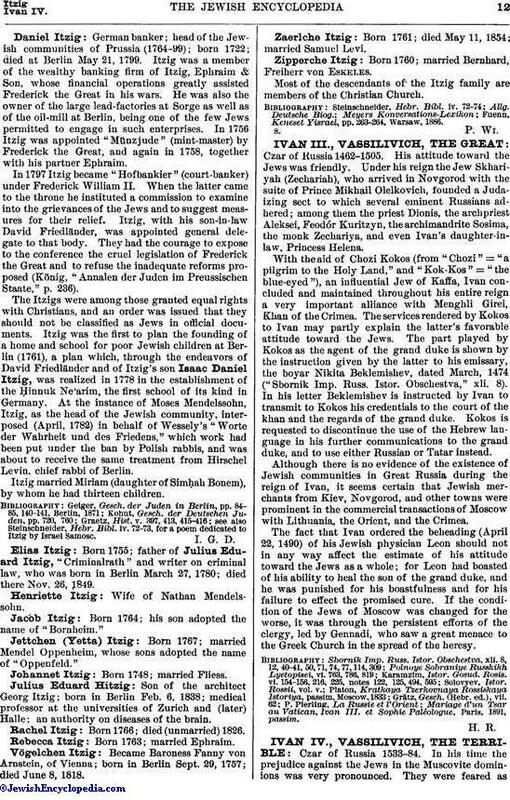 In his time the prejudice against the Jews in the Muscovite dominions was very pronounced. They were feared as magicians and proselytizers. In 1545 Ivan sent a special embassy to Sigismund August, King of Poland, with reference to boundary disputes and to certain Jews of Brest whose goods had been burned in Moscow because they had brought thither some red ocher ("mumeya"), notwithstanding the prohibition to enter Muscovite territory. 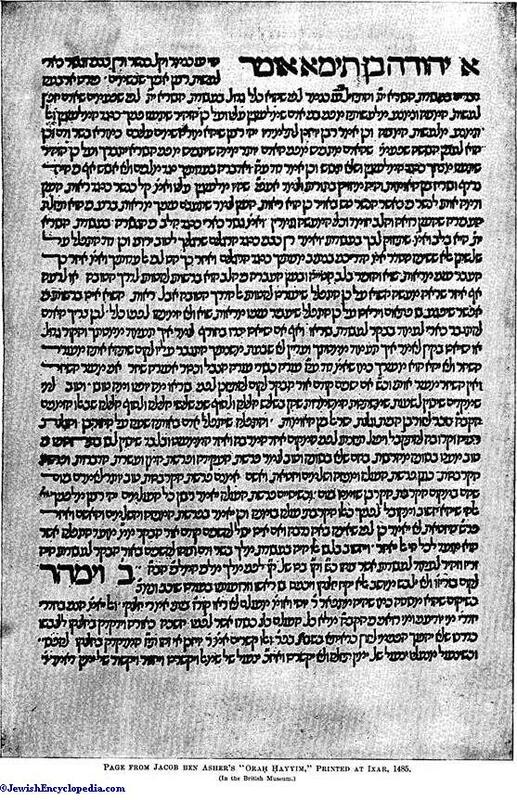 In 1550 Sigismund August asked Ivan the Terrible to permit the Lithuanian Jews to trade without hindrance throughout Russia, on the strength of old agreements permitting Polish merchants to trade in Lithuania. The czar firmly refused to comply with his request. 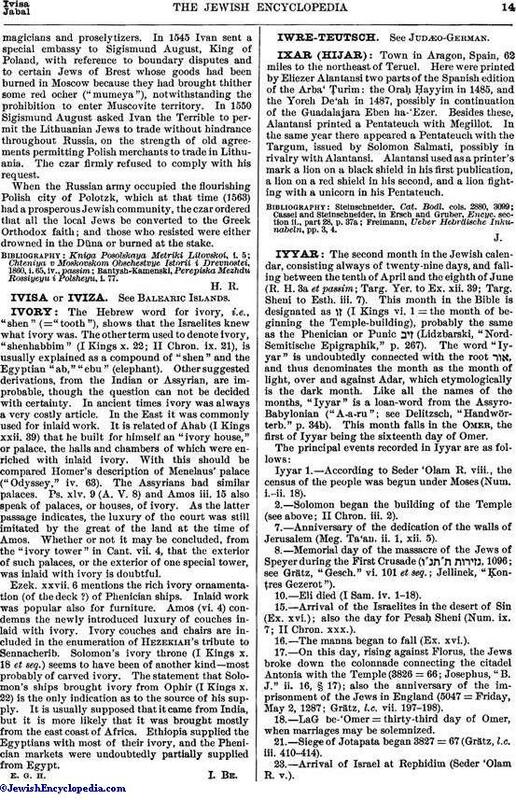 When the Russian army occupied the flourishing Polish city of Polotzk, which at that time (1563) had a prosperous Jewish community, the czar ordered that all the local Jews be converted to the Greek Orthodox faith; and those who resisted were either drowned in the Düna or burned at the stake. Bantysh-Kamenski, Perepiska Mezhdu Rossiyeyu i Polsheyu, i. 77.